service, wonderful cuisine and warm hospitality. 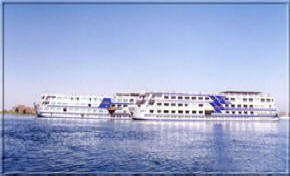 Cruises are offered conveniently all year round with departures 3 times per week. All of our cruise packages are privately guided with our own specialty Egyptologist guides who are eager to answer all your questions about ancient Egyptian life and are alos ready to organize optional tours and visits that are not part of the published itinerary. Egypt By Sleeper Train for those who prefer not to take cruises.